Don't miss the opportunity to reserve our rooms and visit this wonderful area...Reserve Now! Andrea and Roger welcome you to Brooklands, a charming, cosy B&B on the Cumbrian / Northumberland border. Our en-suite accommodation is very popular with walkers and cyclists, attracted by the wonderful, peaceful countryside, and also the history of the area. Please see Our B&B page for details of our accommodation. 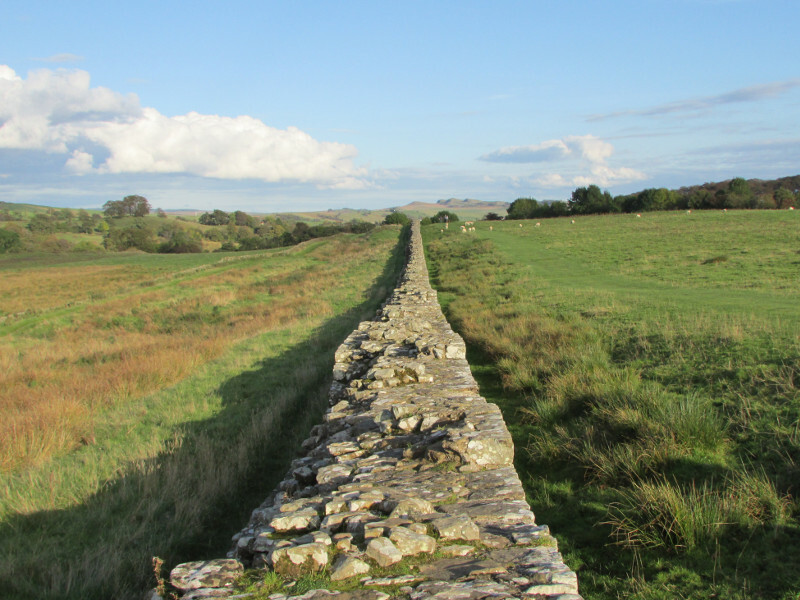 We are an ideal stopping off point for walkers walking along the route of Hadrian’s Wall. 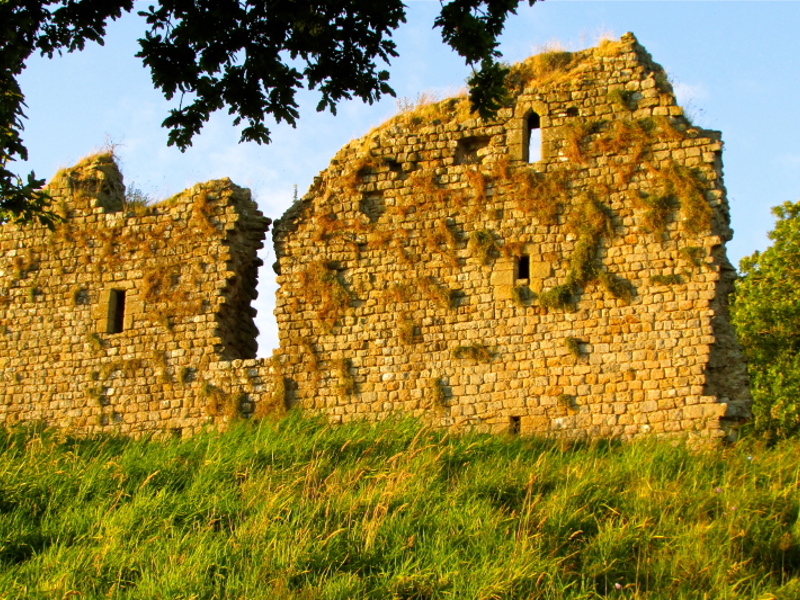 The wall runs through our village, Gilsland, and one of the finest sections of the wall remaining lies just five minutes walk away. Coast to Coast Workington to South Shields Cycle Route. Brooklands B&B is also very well located for an overnight stay for cyclists riding the 115 mile long Coast to Coast cycle route. We have a dry, secure storage facility for your bicycles and a washer and dryer for your wet and dirty clothing. Lanercost Priory is 3 miles away, Birdoswald Roman Fort and museum is even closer. A little further afield lie Brougham and Carlisle castles. From April through to November along the route of Hadrian’s Wall there is a whole series of events and activities. These include falconry displays, archaeology events, gladiator training, and battle re-enactments. For details see www.english-heritage.org.uk/events . 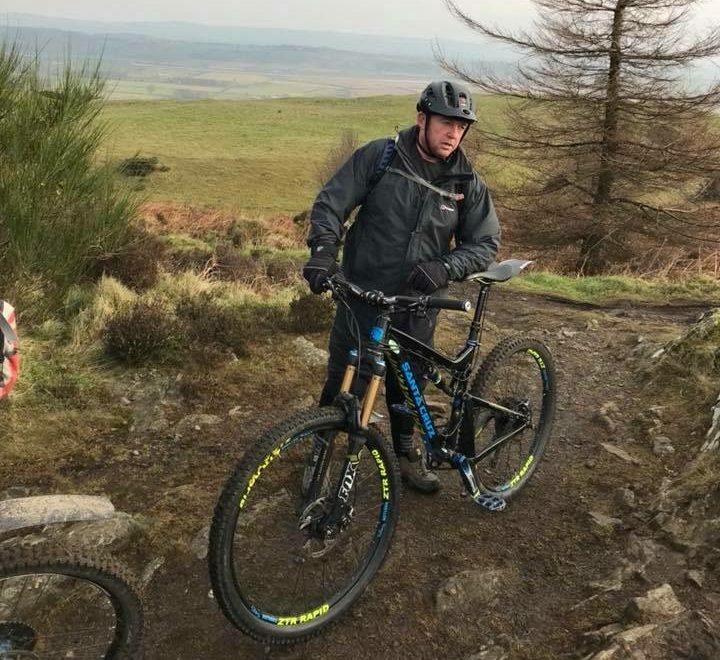 Other activities in the local area include fishing in Brampton and horse riding in Haltwistle. To enjoy a pleasant day in the Cumbrian countryside you don’t even need to leave the premises. 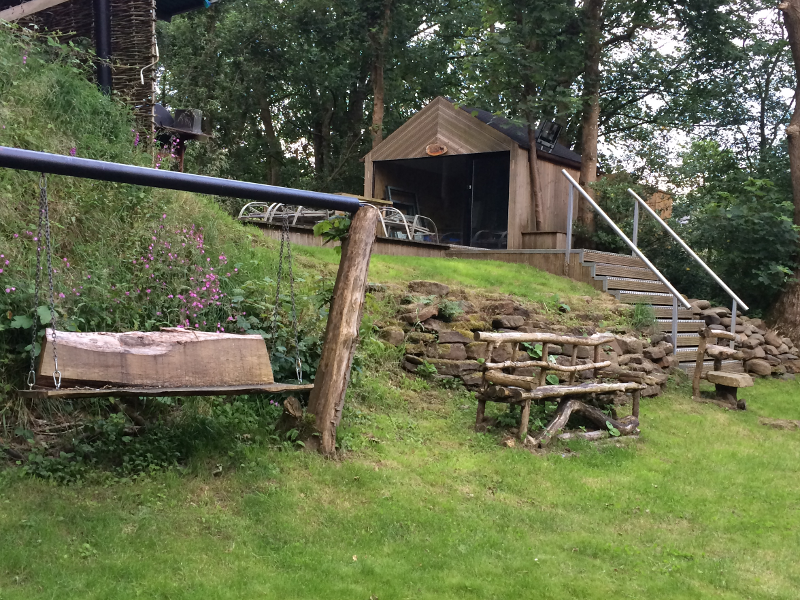 Relax in a deck chair beside the river Irthing, at the bottom of our garden, or sit in our tree house and enjoy the views and the tranquillity from on high. And if you fancy dining Al Fresco, our garden is fully equipped for your BBQ. B&B Accommodation En-Suite, Hadrian’s Wall, Coast To Coast Cycle Route, Bike Storage, Lanecost Priory, Birdoswald Roman Fort & Museum, Brampton, Haltwistle, Housesteads Roman Fort.